With so many really good free and native offerings available, gone are the days of the premium priced GPS apps. Old-school stand-alone GPS companies first struggled with the transition to apps and continue to resist going free despite the obvious shift in the marketplace. 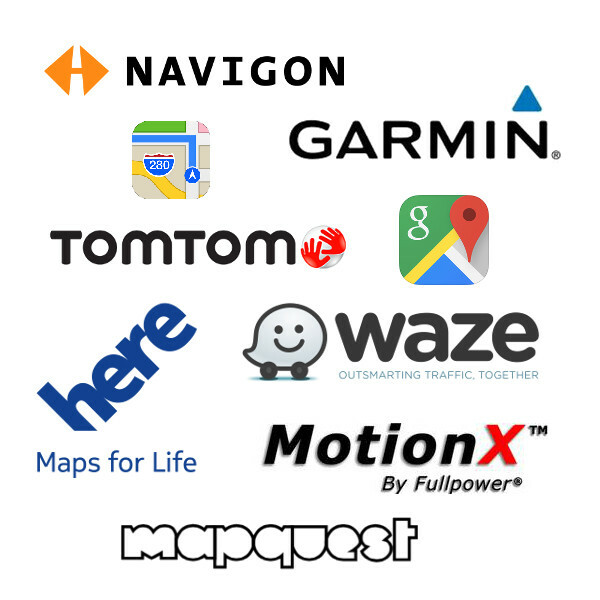 Back in 2010 when I did my original GPS App Showdown, the top contenders at the time were TomTom, NAVIGON, CoPilot Live and MotionX GPS Drive. The GPS navigation app landscape has undergone some changes over the years since, but somehow most of these products have managed to hold, with all getting complete app replacements/refreshes and lower price tags. When smartphones started becoming more and more popular and ubiquitous, there were fears that these GPS navigation apps might eat into stand-alone GPS sales (which they of course did), so these apps came out at a premium price and cost drivers anywhere $45 to $80 for North American coverage (plus traffic subscriptions). Over the following couple of years, another big player in the stand-alone GPS market got into the GPS app game as well, with premium offerings from Garmin arriving on the scene, not to mention a few other international offerings debuting in the US. The apps all looked very similar and so it often came down to just a matter of personal taste or which one worked slightly better in the areas your frequented most. 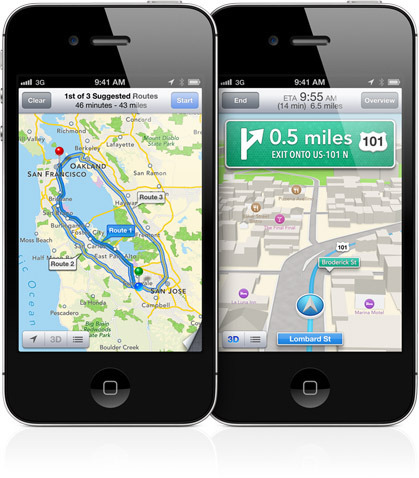 In 2012, Apple Maps and Google Maps both launched on iOS as fierce, free, direct competitors (mostly with each other). While both were severely lacking at first (Google Maps was missing some basic features b/c Apple crippled it, knowing their own offering was inferior) this paved the way for an influx of free navigation options. While Apple Maps was not the game changing be-all end all of GPS navigation apps that Apple had promised it’d be, it did mean that finally iOS owners had a free, native navigation offering, pre-installed on their phones. Due to Apple Maps’ undeniable shortcomings, this didn’t have the crippling effect on paid GPS apps that some thought it might and paid GPS apps from TomTom, NAVIGON, CoPilot Live and Garmin continued to sell. First released in Waze (acquired by Google in 2013) which launched several years prior with a novel idea of crowd-sourcing its data, having users build maps, report changes, traffic conditions, road hazards and more. 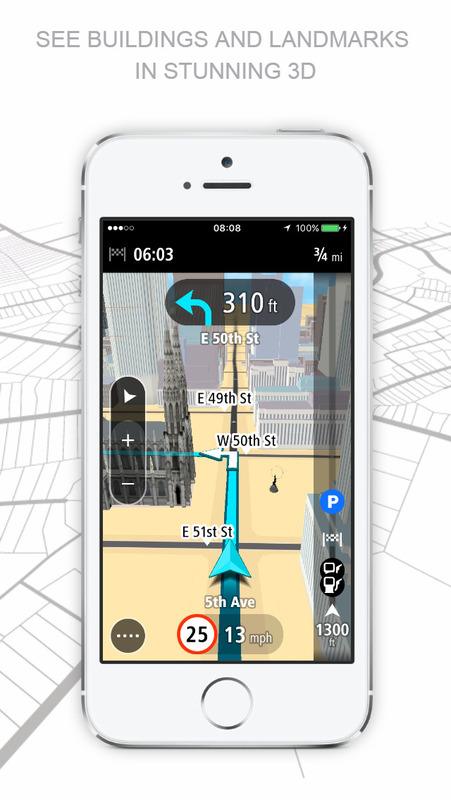 It gamified and socialized GPS navigation like no one had thought to before. The app started making some big traction in 2012 with 20 million registered users, leading to the company’s acquisition by Google in 2013. 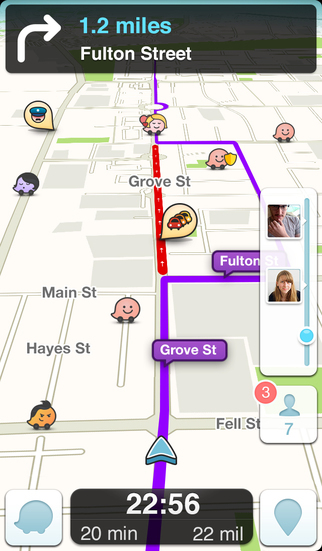 Waze continues to be one of the best (if not THE best) mobile GPS navigation options available (free or paid), due to its accurate and plentiful crowd-sourced warnings and data. It even has free celebrity voices! In fact, Waze just added another brilliant new feature this week called Planned Drives, which will remind you to leave at a certain time, based on current traffic conditions. In 2015 there continued to be even more decent free navigation options popping up on iOS like Nokia’s popular GPS app, Here Maps and even former king of the web-browser navigation scene, AOL’s MapQuest got a huge version 5 update last year, transforming it into a very strong, reliable and accurate free navigation contender. With so many excellent free options the one thing the paid apps always had going for them was offline maps, but even some of the free options have started doing this as well, or at least caching map data enough to get your through dead zone stretches w/o a GPS signal. Now in 2016 it is not surprising to see that the few “premium” paid GPS app holdouts, appear to finally be making drastic changes to their monetization methods. 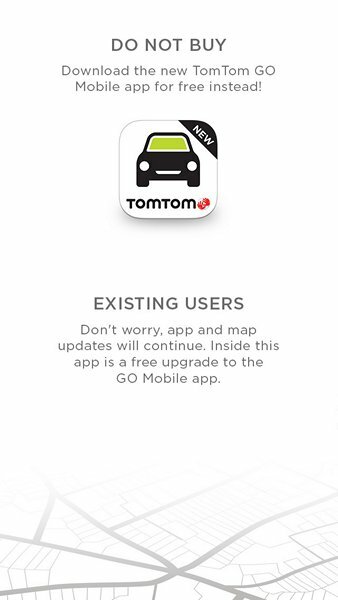 This week when loading up their current (paid) TomTom GPS apps, existing TomTom app owners are now being told to “upgrade” to the new TomTom GO Mobile app in exchange for 3 years of unlimited driving (a $44.99 value). However, this has irritated a good deal of existing TomTom app users who previously paid a premium for the app, thinking they’d be able to continue to use it without ever having to pay again. With the release of TomTom Go Mobile, TomTom has switched from a paid app model with IAPs for things like celebrity voices and traffic data to a pay for unlimited miles model. Now you can download the app for free, you get traffic for free (formerly 99¢ a month + carrier data fees) and use it for up to 50 miles a month completely for free. If you want unlimited miles, that will cost you $19.99 per year or $44.99 for a 3 year subscription. With GO Mobile, TomTom puts the world at your gas pedal, completely streamlining the number of SKUs and apps they need to maintain by combining their 25+ regionalized apps into one single app with access to maps from all over the world, not just one select region. While that all sounds good at first, those who dutifully upgraded right away (myself included), quickly discovered that the new TomTom GO Mobile app is woefully lacking in even some basic features compared to the previous, non-subscription-based version. First off it doesn’t even bring over your home and other destination data from the previous app. The UI/UX is a complete unintuitive mess, making it is far more difficult to navigate the app (no pun intended) and I couldn’t even find a way to list out the steps my route was going to take; something that has been in GPS apps since…well…FOREVER. Other basic features like finding/sorting points of interest by type, points of interest along route, searching for Facebook and Foursquare/Swarm places are nowhere to be seen or if they are, they are impossible to find. Drivers must tap a tiny little steering wheel to start the navigation, miss the wheel and you have to search again. It also seems to really want me to rename my saved destinations, even the 3D map want stay on, periodically switching back to 2D for no reason. In short this app is a right mess and nowhere near ready for prime time. It feels like TomTom is starting from scratch, playing catch-up and has a long way to go to get TomTom GO Mobile up to snuff, and it seems like they inexplicable rushed it to market. Before you ask your loyal customers to make a (compulsory) switch, the replacement app should, at a minimum, be as feature complete as the previous app. Lack of features aside, it begs the question, do these loud dissenters, complaining about having to pay again for TomTom THREE YEARS FROM NOW, even need to be worried, or will TomTom have completely abandoned this paid subscription model by then anyways? Like it or not, (though I suspect most consumers DO like it) unless you are buying a new vehicle, FREE navigation software IS the new standard. While $19.99 a year doesn’t seem like that much money to many people, the truth is we already have so many other monthly and yearly subscription services and bills vying for our dollars, that something has eventually got to give. With such a plethora of unlimited, unrestricted high-quality free offerings available right now, there is really no reason you should still be paying for a GPS app.